Jamie Allison is an 11 year NHL Veteran Defenceman and has played nearly 700 professional games. Jamie played Junior Hockey for the Detroit Jr. Red Wings of the O.H.L. where he captained his team to the Memorial Cup in his final season. Jamie has also had the privilege of playing for several Canadian National Junior teams. He was drafted by the Calgary Flames 44th overall in the 1993 NHL Entry Draft. He made his NHL debut with the Calgary Flames in the 1994–95 season. He has since played for Chicago, Columbus, Nashville, and Florida in the NHL. In 2006, he was signed by the Ottawa Senators as a free agent and played his final season with the Senators' American Hockey League (AHL) affiliate Binghamton Senators. He played in 11 seasons in the NHL, appearing in 372 games, with 7 goals and 23 assists, as well as 639 penalty minutes. After his playing career, Jamie joined the coaching staff of the O.H.L.’s Brampton Battalion spending three seasons behind the bench. During his final season, the Battalion reached the OHL final for the first time since the team’s inception. Since his retirement Jamie has become quite an avid public speaker visiting schools with an anti bullying message and has spoken to over 50,000 children in Ontario. Jamie is currently one of the owner’s of the Oakville Hockey Academy, a state of the art hockey development centre in Oakville, Ontario. He has become highly sought after for defence specific training for teams, semi private and private lessons in the GTA. Jamie is also quite an accomplished country music singer and has won numerous singing competitions in Canada. 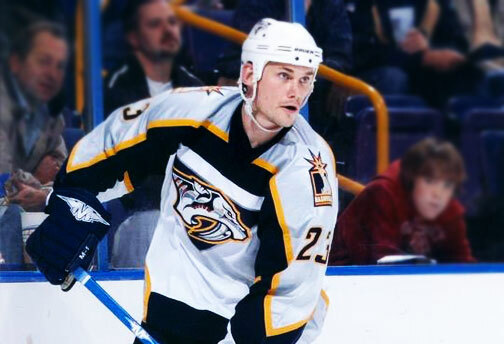 While he played for the Nashville Predators he had the amazing opportunity to perform at the Grand Old Opry for a TSN broadcast and has performed numerous times at the famous “Tootsies Orchid Lounge” he also had the incredible opportunity to audition for RCA RECORDS Nashville President Joe Gallante. Jamie’s passion for helping children and love of hockey has lead him to present where he has done numerous hockey and multi sport camps for children in need and at risk youth through the 4life Foundation. Interesting hockey fact: Jamie’s stick was the stick that scored the very last goal in the Maple Leaf Gardens by his team mate the late Bob Probert and is now in the Hockey Hall of Fame. Dean Van Vliet is Director of Business Development. He has been actively involved in Hockey since his youth, playing AA Hockey with the Mississauga Braves. Dean has his Coaching Development 1 Certification and has had the privilege of Coaching with the Oakville Hornets, Oakville Rangers, Meadowvale Hawks and the Mississauga Terriers as well as on ice assistance at The Oakville Hockey Academy. A Mississauga native, Jake has played at a high level of hockey, being an Elite Defensemen since he was 7 years old, playing Junior A for the Milton Icehawks, Streetsville Derby's and has played for both the University of Toronto Varsity and Tri Campus teams. A University of Toronto graduate in Neuroscience, Animal Behaviour and Biological Psychology. Jake has taught in Mississauga and Oakville over the last 10 years and has developed thousands of players within that time, generating an extensive reputation. Jake has also taught, trained and worked with players from the NHL, AHL, CHL and several Team Canada members from both the Men's and Women's teams. Jake combines an incredible amount of knowledge, experience, energy and passion into his work. He has proven himself as being a motivating role model and a mentor for hockey players from 3 years old to professional levels. His good rapport with the players is shown in how he teaches the necessary tools, skills and disciplines needed to achieve success. He displays strong confidence in how he implements his developmental plans according to individual needs of the players he trains with, all of the leagues, clinics and lessons he instructs. He offers special insight and techniques in game situation type drills, using constructive and positive feedback, offering each player attention and encouragement. Overall Jake strives to implement the skills and tactics in each player to achieve their goals and guide them to the next level. 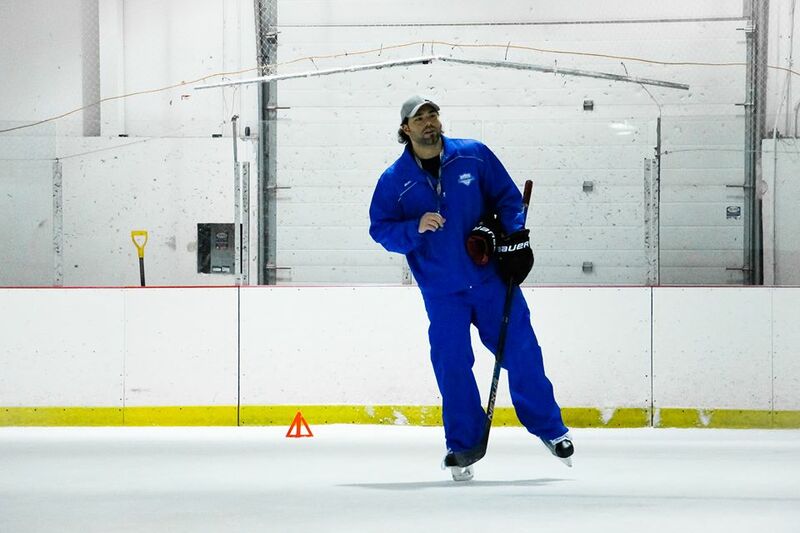 Jake was Director of Hockey Operations and Head Instructor for over 5 years at Ice2Ice. 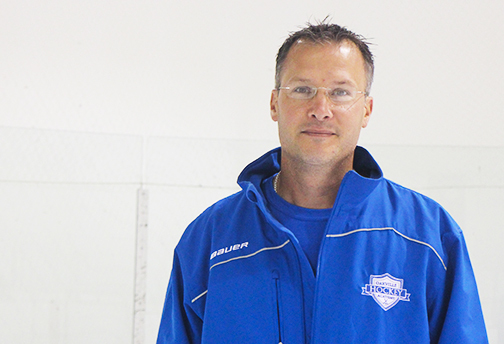 He now assumes the role Director of Player Development and Head Instructor at the Oakville Hockey Academy. He is excited to continue to be a part of this training facility, its community and to continue helping players fulfill their goals and dreams in the game of hockey.